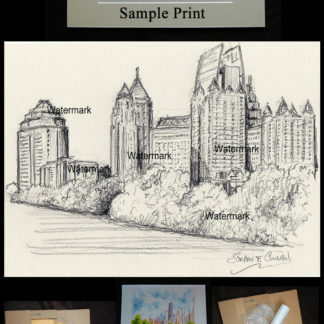 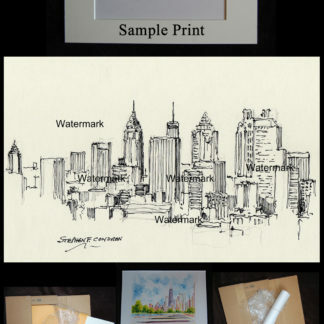 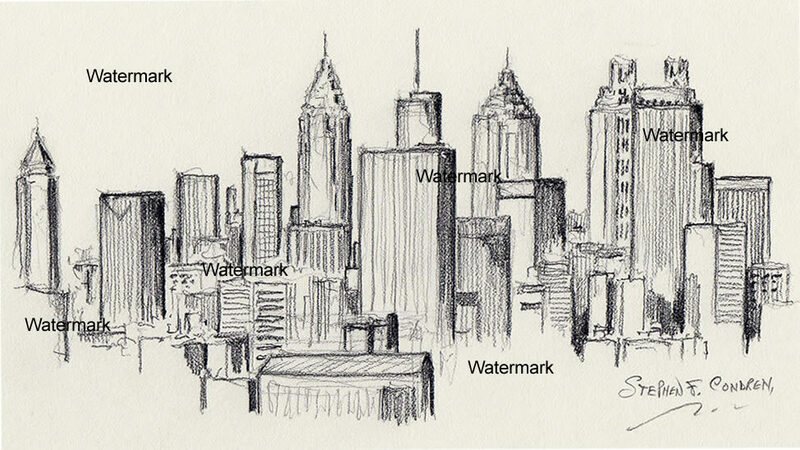 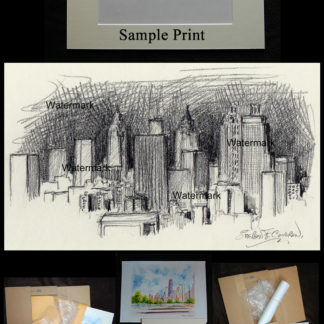 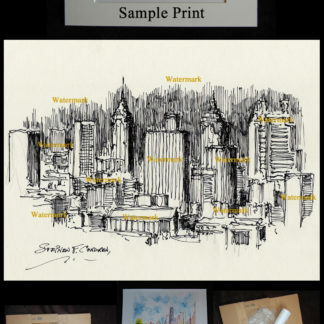 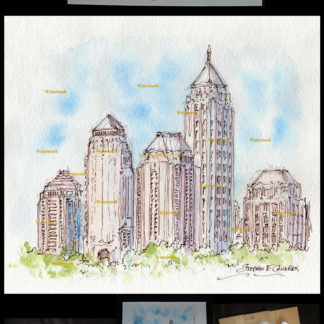 View cart “Atlanta Downtown Skyline Pen & Ink Drawing #826A” has been added to your cart. 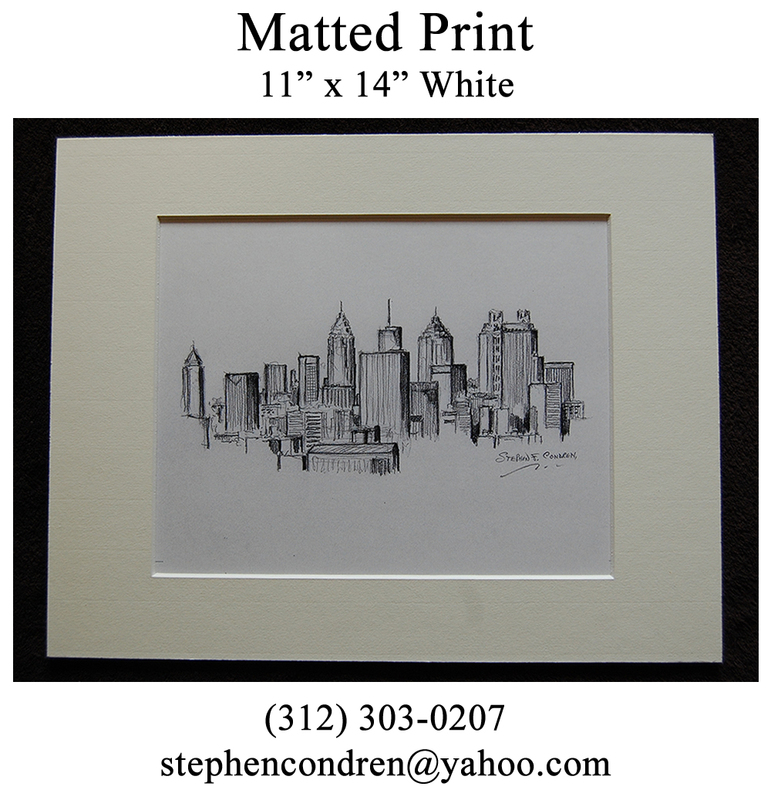 Atlanta skyline #819A pencil cityscape drawing, which is for sale here, at discount with prints by artist Stephen F. Condren, SAIC, of Condren Galleries, a Fine Arts Gallery, offering JPEG & PDF prints. 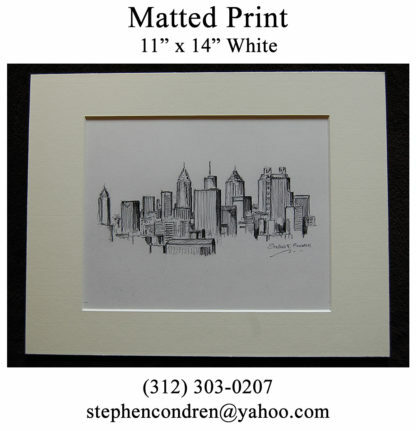 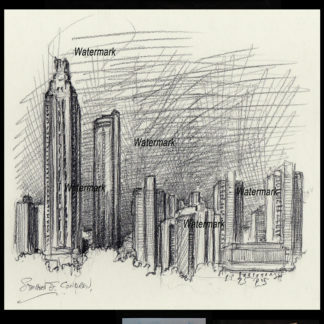 Pencil drawing of the Atlanta skyline by artist Stephen F. Condren. 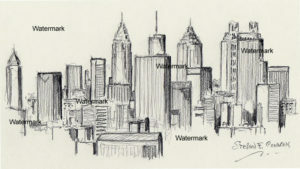 This soft lead pencil drawing of the downtown Atlanta, Georgia, skyline works to bring out the variations of tones from between the building and the rising vertical lines of the towering skyscrapers. 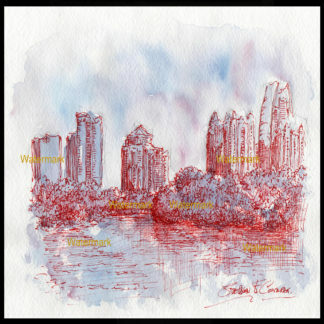 Free shipping within 48 hours and always on sale at low discount prices ever so cheap by artist Stephen F. Condren. 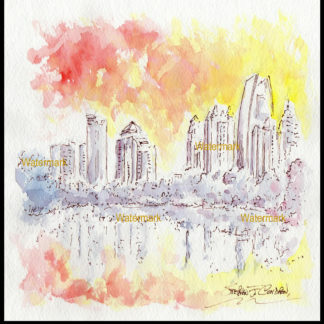 Atlanta more than any other city in the south, and perhaps the country, can boast the historical and cultural significance as this city does. 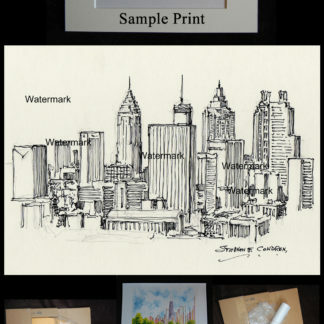 The amount of loss to the United States from the burning of Atlanta during the Civil War is staggering. 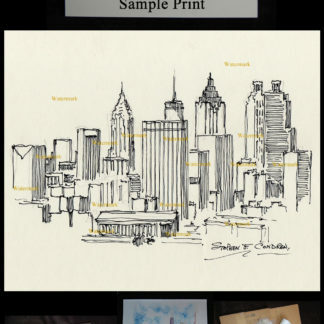 This was a terrible and heinous thing for Lincoln to permit and for the his henchman William Tecumseh Sherman to carry out.